SASKATOON, February 05, 2019 — The Veterans Transition Network (VTN) is set to deliver its’ life-changing Veterans Transition Program (VTP) to local Saskatchewan Veterans. This will be the second VTP delivered in Saskatchewan, bringing much-needed support to the province. 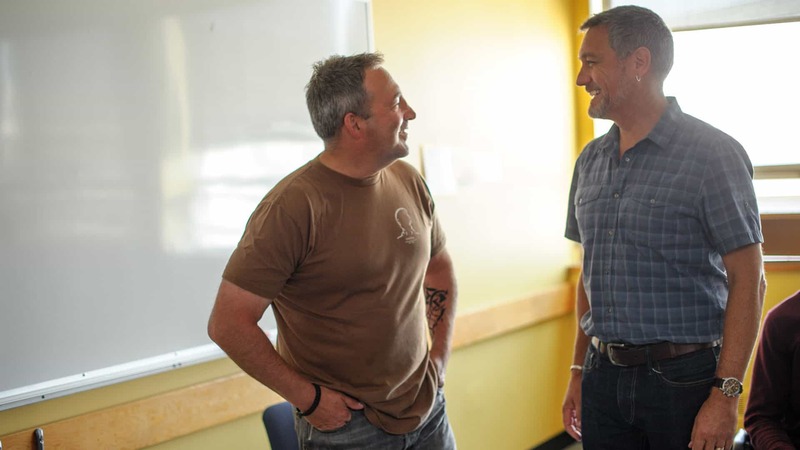 For 20 years, the Veterans Transition Program has been delivered to assist both former and current members of the Canadian Forces and RCMP who are struggling through difficulties related to their service. The aim of the program is to help participants process difficult experiences, increase personal resiliency, and reduce barriers that hinder their successful transition into civilian life. The program’s impact has been apparent through both independent research at UBC and its graduates’ stories. The Veterans Transition Network is the only Canadian charity delivering mental health services to Veterans from coast to coast. Their mission is to make sure no Canadian veteran is left suffering in isolation. The VTN’s programs, designed specifically for Veterans, are backed by 20 years of research and have a 95% successful transition rate. Want to know more? Join our Network. Get inspiring stories about Veterans care delivered straight to your inbox.